The Sun lab is interested in understanding the role of ion transporter proteins (Na+-K+ -Cl- cotransporter, Na+/H+ exchanger, and Na+/Ca2+ exchangers) in ionic dysregulation and neurodegeneration associated with stroke and hypoxic ischemic encephalopathy. In particular, we study how changes of cytosolic ionic concentrations (Na+, H+, Ca2+) as well as organelle Ca2+ (ER and mitochondria) cause cell death and proinflammatory responses in ischemic or traumatic brain damage. We are also interested in studying Glioblastoma multiforme (GBM) brain tumor. We investigate how the Cl- cotransporter functions in regulation of intracellular Cl- and cell volume in GBM cancer cell survival. These ion transport proteins may be potential ''targets'' for therapeutic intervention for these diseases. The Sun lab includes postdoc fellows, graduate students, and undergraduate students. The research employs in vitro cell culture models and in vivo animal models for cerebral ischemia, traumatic brain injury, and brain tumor. A variety of biochemical assays, and live cell imaging techniques are used in our research. Begum B, D Kintner, Y Liu, SW Cramer and D Sun. 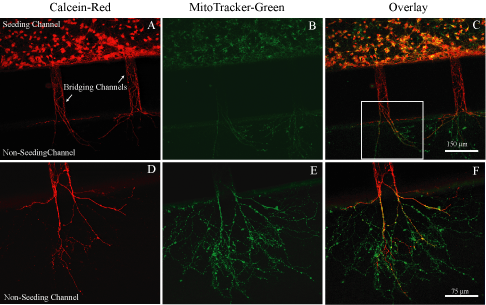 DHA inhibits ER Ca2+ release and ER stress in astrocytes following in vitro ischemia. J Neurochem 120:622-630, 2012. Algharabli J, DB Kintner, Q Wang, G Begum, PA Clark, S Yang, S Lin, KT Kahle, JS Kuo and D Sun. Inhibition of Na+-K+-2Cl-cotransporter isoform 1 accelerates temozolomide-mediated apoptosis in glioblastoma cancer cells. Cell Physiol and Biochem 30:33-48, 2012. Liu Y, DB Kintner, G Begum, J Algharabli, P Cengiz, GE Shull, X Liu and D Sun. ER Ca2+ signaling and mitochondrial Cyt c release in astrocytes following oxygen and glucose deprivation. J Neurochem 114:1435-1446, 2010. Kintner DB, X Chen, S Chiu, A Baba, T Matsuda, M Cohen, L Orlowski, J Taunton and D Sun. Excessive Na+/H+ exchange in disruption of dendritic Na+ and Ca2+ homeostasis and mitochondrial dysfunction following in vitro ischemia. J Biol Chem 285:35155-35168, 2010. Liu Y, DB Kintner, V Chanana, J Algharabli, X Chen, Y Gao, J Chen, P Ferrazzano, JK Olson and D Sun. Activation of microglia depends on Na+/H+ exchange-mediated H+ homeostasis. J Neurosci 30:15210-15220, 2010. Chen X, DB Kintner, J Luo, A Baba, T Matsuda and D Sun. ER Ca2+ dysregulation and ER stress following in vitro neuronal ischemia: Role of Na+-K+-Cl cotransporter. J Neurochem 106:1563-1576, 2008. Luo J, DB Kintner, GE Shull and D Sun. ERK1/2-p90RSK-mediated phosphorylation of NA+/H+ exchanger isoform 1: A role in ischemic neuronal death. J Biol Chem 282:28274-28284, 2007.